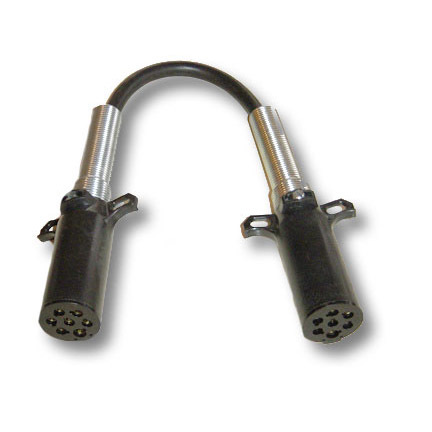 Allows you to use your Light Cord Output Tester (#01950) to test the output of rear-mounted trailer sockets, like those found on pup trailers. Square Wheel also offers a small tester (#01955) made specifically for testing pup trailers. Adapter has SAE 7-Pin plugs at both ends.